Peru: to tip or not to tip, that is the question? If you’re not from a tipping culture, or simply want some advice on how much to tip and to whom, read our guide to travelling and tipping in Peru. Tipping is not mandatory in Peru and completely discretionary but it does form a strong part of the culture and people look to tips as a reward for good services. You will come into contact with many people from hotel porters to taxi drivers and you can tip in the local currency of Peruvian Soles or US dollars. Airport porters: 2-5 Soles per bag. No tip expected for taxi drivers, but most people round up the fare. If you have a driver for several days and good service was provided (drove safely, friendly etc.) then a pooled pot between all travellers of USD 5-10/ 16 – 30 Soles per day is sufficient. A friendly and helpful porter who carries your bag to your room are typically given 2-3 Soles per bag. Breakfast waiting staff again, leave 2 – 3 Soles on the table per person, per breakfast. 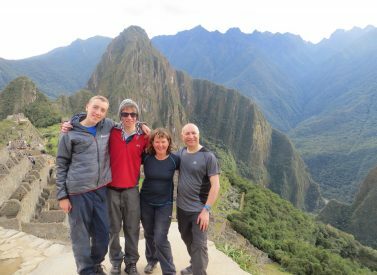 Specialist guides – On many trips you will have a number of specialist guides eg jungle, rafting, biking, Colca Canyon or Lake Titicaca guides. In most instances these guides have spent a number of years studying at Colleges or Universities to qualify as guides. Generally these guides will be with you for a few days but sometimes just for a day trip. As a general guideline it would be expected to tip each specialist guide US$20-60 (60 – 200 Soles) a day in total from the group. Again the depth of knowledge of their area or specialist skill, command of English and friendliness should help determine the tip. Inca Trail – The Inca Trail where you will be supported by a full crew of cooks, porters, waiters etc is far more complicated to organise in terms of tipping. We recommend that each client contributes US$ 30-90 (100-300 Soles) into a pot and following the advice of the guide divide it out between the crew of cooks, waiters and porters. For tipping the actual Inca Trail guides and assistants we recommend following the advice for specialist guides above. Airport porters 2-5 Soles per bag. Transfer drivers/ taxis Generally not expected, but can round up fare to nearest ten.